A missing tooth can make even the most extroverted of us feel a little less confident. At Prevent Dental Suite, we provide the best solution for your missing teeth without charging you an arm and a leg! 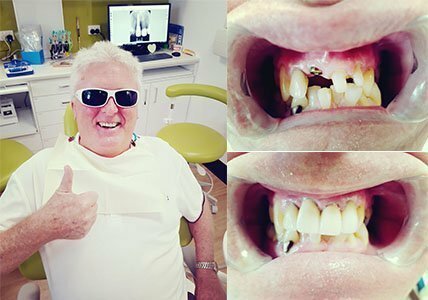 If you are searching for high quality and affordable dental implants in Sunshine Coast, you are in the right place! Restorative dentistry has provided multiple options for bringing back your smiles like dentures, bridges, and implants. People with missing teeth have to balance the benefits these restorations can bring with the associated costs. But, if you have missing teeth or have broken or decayed teeth that might be beyond repair, implants are often the best answer. If you’re uncomfortable with your dentures, partial denture, or bridge, you could benefit from implant technology. Researchers have recorded the development of teeth replacements. Throughout the years, men created ways to replace lost teeth by using carvings out of bamboo, copper, iron, gems, seashells, and bones. Modern dental implants are far more effective and have been widely used over the years, proving to be effective ways to restore the natural state of your teeth and smile with artificial replacements. 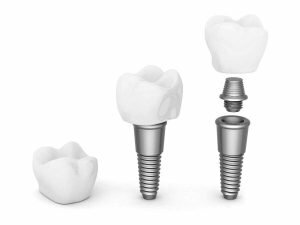 Dental implants are metal (usually titanium) posts or frames that serve as the artificial roots for missing teeth. They are surgically placed beneath the gums, into the jawbone. The implant attaches to the bone and integrates to it through time. This integration allows the implant to fuse to the bone and helps it stabilise and stay permanently. When a tooth is missing, the teeth on either side of the gap may shift and move into the space left behind causing you to develop a ‘bad bite’. An irregular bite makes it harder to maintain oral hygiene, which may lead to tooth decay or severe gum disease around these teeth. Dental implants fill the gap and keep the rest of your natural teeth in their ideal positions. Even better, dental implants don’t need to be expensive! You can get affordable yet high-quality dental implants at Prevent Dental Suite at Sunshine Coast. Dental implants restore and improve your biting and chewing capacity. Because an implant substitutes the root as well as the tooth, biting and chewing is restored to normal. Implants work like your natural teeth, allowing you to eat your favourite foods and get back to your regular activities without pain. They replace missing tooth/teeth and fill unsightly gaps, improving your self-esteem. Dental implants give a person the most natural looking replacement for teeth that have been lost. With proper adjustments, they can match the colour of the natural teeth. Dental implants are durable and with good oral hygiene can last a long time. They effectively restore the balance of pressure in the mouth, hence supporting natural face structure and preventing an irregular bite. Dental implants prevent bone loss. The jaw bone below a missing tooth deteriorates due to lack of stimulation. Dental implants provide the needed stimulation for natural bone growth. Dentures can even speed up bone loss as they often become unsecured and then rub against the bony ridge, gradually wearing it away. A missing tooth gap can act as a trap for food and bacteria and can lead to gum disease. Dental implants help prevent gum disease, tooth decay, and root canal problems. Dental implants acquired from Prevent Dental Suite in Sunshine Coast are guaranteed safe, high quality, and affordable. Dental implantation follows a thorough procedure to ensure your safety and comfort. The methods performed during the implantation are listed below. Your dentist will inspect your jaw as preparation for the implant by visual examination and x-rays. Having healthy gums and jawbone is key to the success of the implants. The metal posts are then surgically inserted into your jawbone. Temporary crowns are placed to cover the implants from foreign material for the meantime. Osseointegration is the process of allowing the implants to fuse into your bone tissue, and it occurs over time (sometimes months). Letting the implant bind with the bone creates a strong foundation to support your dental crowns. The temporary crowns are removed. The permanent dental crowns are attached and fixed into place once the implants are properly fused to the jaw. Dental crowns at Prevent Dental Suite are custom-fitted to ensure perfect fit and stability. Take care of your dental implants just as you take care of your natural teeth. Although they are made from durable material, they can still wear out or be damaged if not properly cared for. Our goal is to provide quality dental implants without breaking the bank. At Prevent Dental Suite, we make sure that losing your tooth is not as burdensome and as expensive as you might think. High-quality doesn’t always mean expensive. We encourage you to avail yourself of our latest offers. We offer affordable dental restorations for the residents of Sunshine Coast. Get your dental implants today! Use zipMoney Mediplan to pay for your implants later, and over instalments. Who says smiles are expensive? ZipMoney Mediplan is a safe, simple and convenient way to manage the upfront cost of your healthcare. It aids you in immediately obtaining the treatments you need, with the flexibility to pay over time in instalments that you can afford. Also, application is easy, you can register online, usually in three minutes or less! Prevent Dental Suite offers quality affordable dental implants solution for missing teeth for anyone in Queensland specifically if you are located in Kallangur, Petrie, Murrumba Downs, Deception Bay, Narangba, Strathpine, North Lakes, Caboolture, Warner, Lillybrook, Griffin, Mango Hill, Lawnton, North Brisbane and Sunnybank Hills. And for anyone in Queensland; Brisbane, Gympie, Gold Coast, Sunshine Coast, Ipswich, Bribie Island and Buderim. Single tooth dental implants at an affordable price – implants and fixtures for $2,000 and crowns for only $1,750. At Prevent Dental Suite, our goal is to make quality dental care affordable. We encourage you to take advantage of this offer for Sunshine Coast residents. Call us on (07) 3886 2428 or visit us at 9/1376 Anzac Ave in Kallangur. Have your Dental Implants Today and Pay it Back Over Time with zipMoney Mediplan! 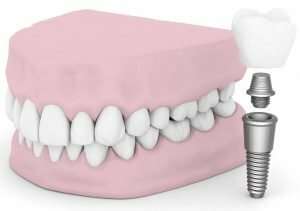 Affordable Dental Implants in Sunshine Coast: Single tooth dental implants at affordable price – implant and fixtures for $2000 and crown for only $1500. At Prevent Dental Suite in Kallangur, our goal is to make quality dental care affordable. We encourage you to take advantage of our latest offers. To find out more, visit our special offers page or contact us now on (07) 3886 2428 or book your appointment below. 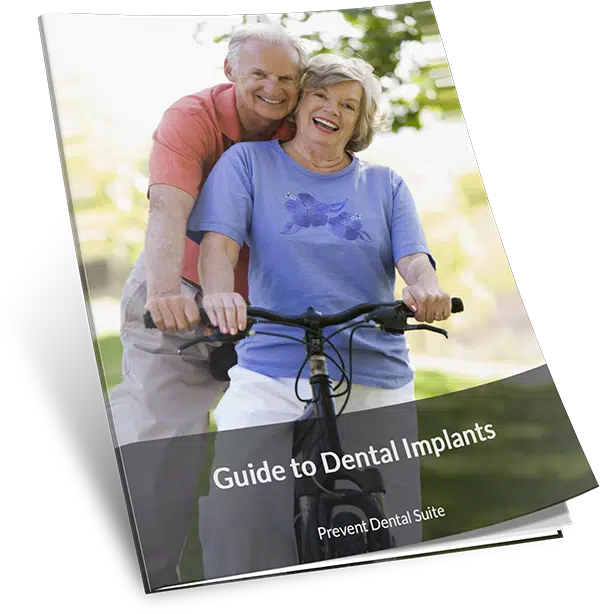 Get your copy of the ultimate patient guide to dental implants today!